I have long been frustrated with the bead selection locally. 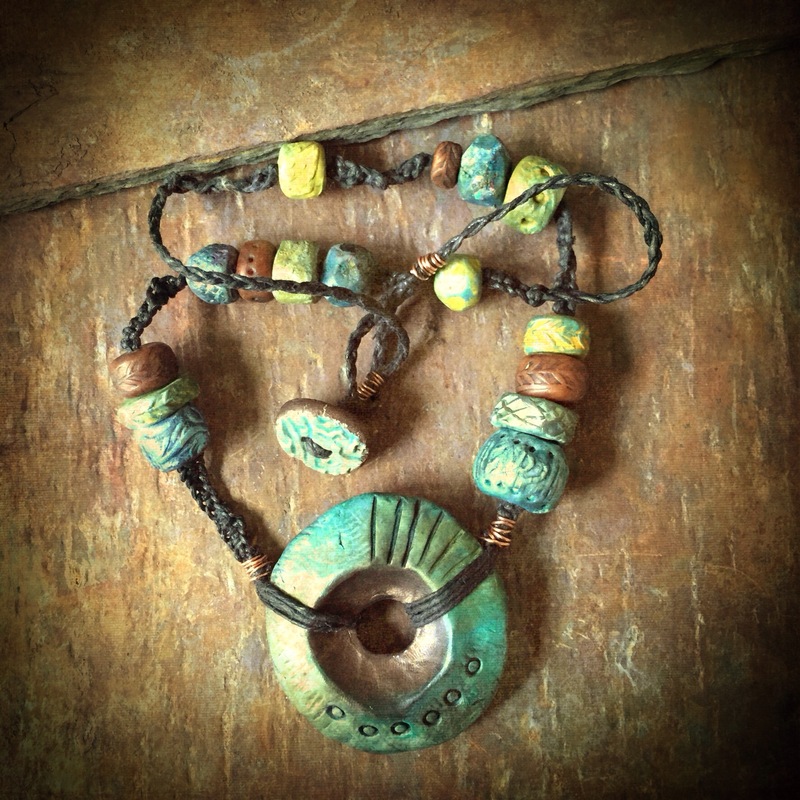 It is hard to find the kind of earthy looking beads that I like anywhere within an hours drive. 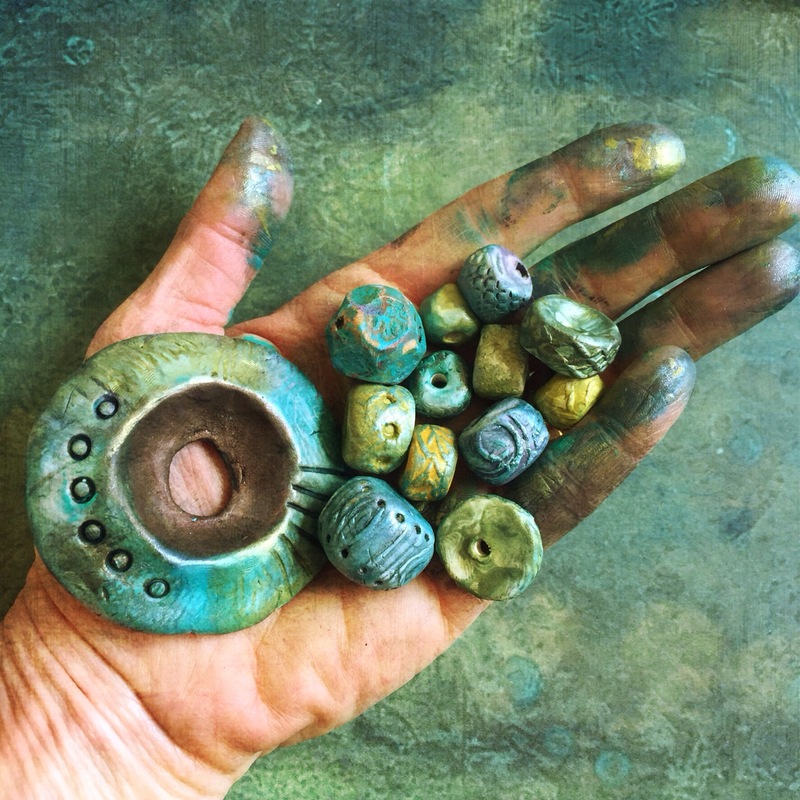 For inspiration, I looked to the clay beads of my friend Vladthebat and the work of an artist known as Raggedrobyn whose work I have admired for some time. They make very organic creations with earthen clay. Even though I have the kiln and clay, lacking the patience for that process today, I turned to polymer clay to try to capture that feeling. Here are the pieces I came up with. 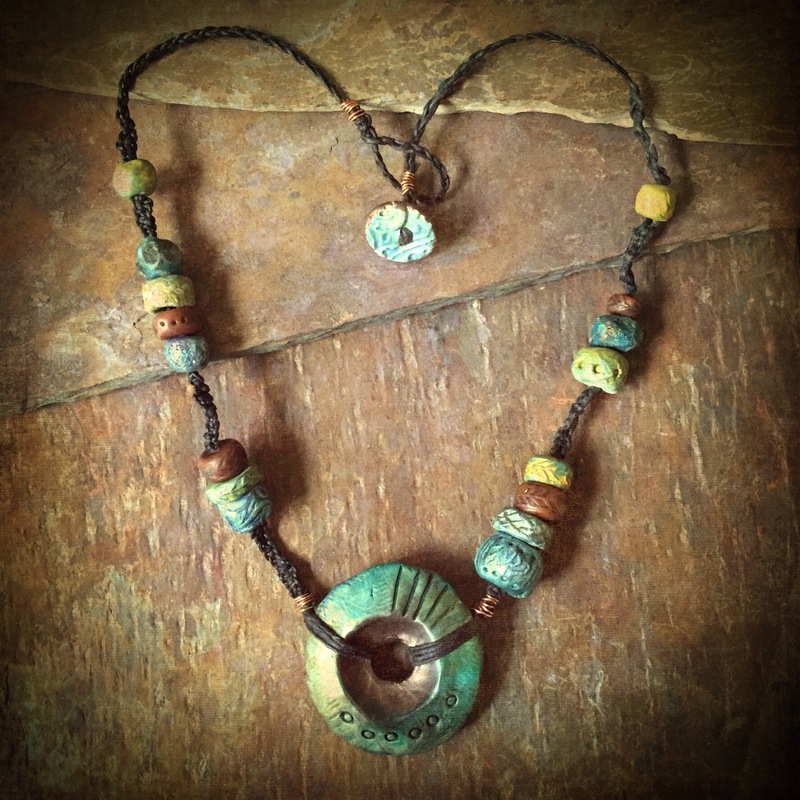 I textured the sides of the beads by rolling them over some rubber stamps that I had carved. Then I painted them with acrylics and added guilder’s wax for some sheen. I strung them on black waxed linen cords and added a ceramic button that I made a while back for the closure. I discovered that my macrame needs a little work. It does give it a more rustic look though. Also, there is the texture of my fingerprints. I was once in a Yahoo charm exchange group and the leader of the group would have a hissy fit (southern term for getting really irate) and reject charms if they were polymer clay and you could see fingerprints on them. I have always loved to see fingerprints because it is a part of the artist. Kind of like a signature. 27″ long All elements handmade by little old me. I had some unglazed porcelain beads and was looking at them thinking of how I could decorate them. I happened to look up and see some permanent markers on my work table and thought…hmmmm… I wonder how this would work. 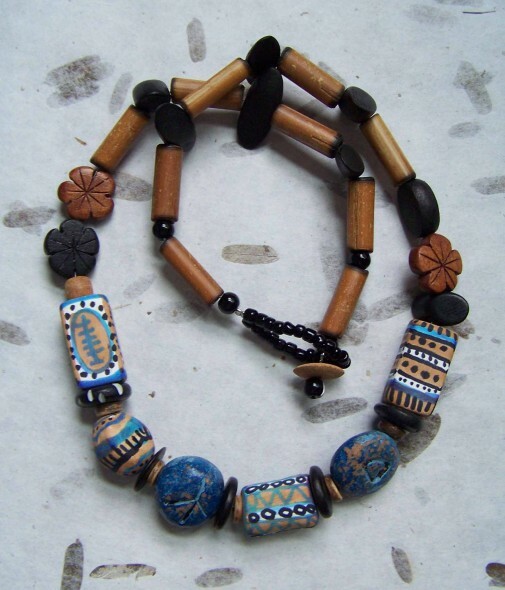 I combined them with some wooden and glass beads and came up with this necklace.